Imagine my surprise when readers would tell me that they were cutting out the column, saving them, copying them, sending them to friends and even using some in Bible Study. This is that book. Thank You. Lots of us have questions about what to eat, how to restore our health, what to ask when we go to the doctor, and what to expect as we go through certain procedures. Where do we get these answers? Readers would ask me questions and they'd be answered. I've always been very inquisitive and had lots of questions, and so I encourage others who have questions too to ask, read, research, and learn more. I was given a wonderful opportunity to receive and to answer questions from persons in my community and even nationally, because the column is carried on the internet, picked up, republished nationally and world-wide. 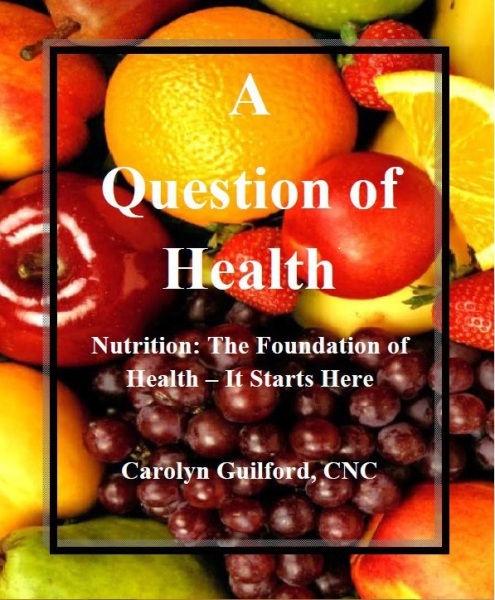 In this book you'll find my philosophy of health, some of the many questions I've received from my beloved readers. Along with many tips on taking care of yourself, being 'in-charge' of your own health and wellness. Questions about stroke, heart disease, diabetes, talking with your physician, drugs and foods, exercise, but mainly about creating health out of chaos.